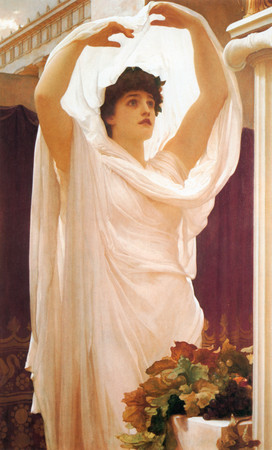 Beautiful Woman in the Sunlight Invocation, by Frederic, Lord Leighton. We’re living in uber-transformative times, so perhaps it comes as no surprise that transformation around us happens through transformation within us, even as circumstances seem to conspire to nudge us into that change. For generations of women before us — our mothers, grandmothers, great-grandmothers and before — societal constrictions made such radical transformations difficult, if not impossible. It’s always inspiring to me, having experienced such a wild transformation — that Inanna-Persephone death and rebirth — during the decade of my 40s, to see examples of other mid-life ‘re-bloomers’: women, and men, who truly came into new purpose and life-work at mid-life. Hildegard of Bingen O.S.B. (1098-1179), Benedictine Abbess, Mystic, Visionary. Hildegard of Bingen (1098-1179) was a Benedictine Abbess, a mystic who was called “Sybil of the Rhine” for her power of vision and prophecy. 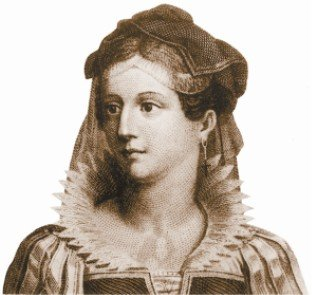 While she had experienced visions from the time she was a small girl, she lived in a time when such things were as likely to be attributed to the ‘devil’ as to Divine inspiration. Hildegard’s descriptions of her visionary experiences are very similar to other descriptions of activated Shakti — the powerful, creative Feminine (for more about this listen in to my Feminine Mojo Show with Teri Degler on “the Divine Feminine Fire”, and other shows on the Feminine as well). Having experienced “the Divine Light” through her senses — the wisdom and feeling of her body — Hildegard poured forth the creative energy of Shakti, the Divine Feminine, in music, art, wisdom, healing and herbal wisdom, and prophecy. Shakti-fed brilliance, coming into full expression starting in her 40s. Florence Scovel Shinn (1871-1940), American artist, illustrator, and early New Thought teacher. Florence Scovel Shinn (1871-1940) lived more than half of her life during a time when women in the United States weren’t even allowed to vote. She was an actress, artist, and illustrator whose life took a radical turn after her divorce at age 41. During her 40s, rebirthing herself following the devastating ‘surprise’ of her divorce, Scovel Shinn left behind her former life as an artist and cultivated a metaphysical wisdom. She self-published her first book at age 54. She became a wisdom teacher for what would later become known as ‘New Thought’, and her teachings influenced many of the Unity, Religious Science, and other New Thought teachers who would become well-known after her death. In other words, she walked her talk. Over those years as a metaphysical ‘New Thought’ teacher, she gave many public ‘talks’, saw many clients, published other writings, which are still in distribution and still inspiring thousands. These are just a few of the women — and men like Carl Jung — who were recreated, ripened, and rebirthed through the experiences of mid-life transformation. They speak to us, inspire us, and guide us as we move through similar transformations and rebirths now. Enter and cultivate your inner Garden of the Feminine with the powerful audio programs and individual consultation opportunities of The Feminine Mojo Mystery School.